In the last few years I’ve tried a fair few primers, and I always end up coming back to the Hourglass Veil Mineral Primer. Originally I came across it in Mecca, and only picked it up because of the price tag. I fell in love with the texture and got my first sample of it shortly after. I never thought I would actually buy it, but once I noticed how much it improved the longevity of my makeup (especially in my oily t zone) I knew I had to get it. Hourglass talk their products up a lot so I always wondered if it was all hype, but when I started using this I agreed with pretty much everything they say about it. The texture is so silky smooth and glides onto the skin so nicely, it doesn’t feel like any primer I’ve ever used. It feels moisturising without leaving me feeling greasy. It does give my face a slightly white hue but it’s not noticeable as you go through the rest of your makeup application. No matter the foundation I put on top, or whether I use a brush or Beauty Blender, the ease of blending is always noticeable with this primer compared to others. The only thing this doesn’t deliver on from the description for me is concealing redness – if I have any I always need to use a colour corrector unless I’m using a very full coverage foundation. With most other primers my foundation starts to melt off my nose after a couple of hours, but with this one my nose stays pretty much intact for around double that, with shine also kept at bay for longer than with others. After a while, it does start to disintegrate on the sides of my nostrils no matter the amount of powder I use, because that’s where I get the most oily, and I also touch my nose a lot (which is terrible, I know). I’ve also noticed that my brow products and highlighters last longer on my face with this, particularly around the edges. 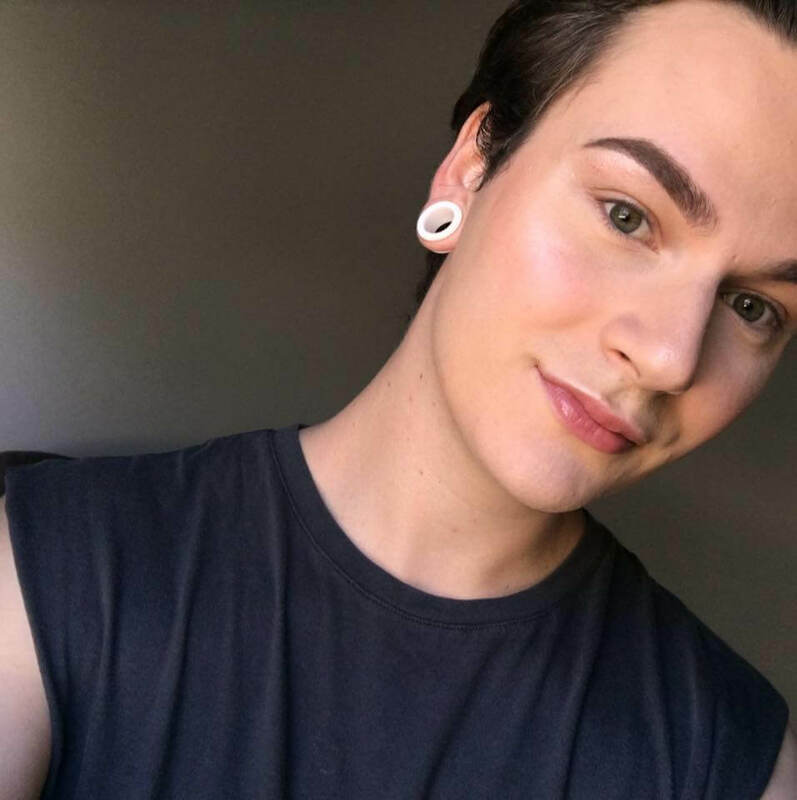 My highlight stays exactly where I put it, and my brows keep their defined lines and don’t smudge anywhere near as much as with many other primers I’ve used. This primer doesn’t work 100% well for the lines on my forehead. I have quite deep lines and have a very expressive face, so naturally foundations settle in those lines. This is an ongoing issue for me so I don’t really blame it on the primer – and I don’t expect miracles – but this still disappointed me a little, and it’s something to keep in mind if you have deep lines. I do have days where this primer doesn’t work as well for me, and it certainly works better with some foundations than others, but once you know what products it works well with it’s a beautiful addition to any collection. The best I’ve used are the Hourglass Vanish Stick (needs quite a bit of powder for combination skin because it’s quite hydrating) and the Anastasia foundation sticks (they glide on so nicely with it). The worst is the Inika Mineral Powder, it slides right off after about 2-3 hours, especially on my nose. I find a tackier primer works better with that powder. 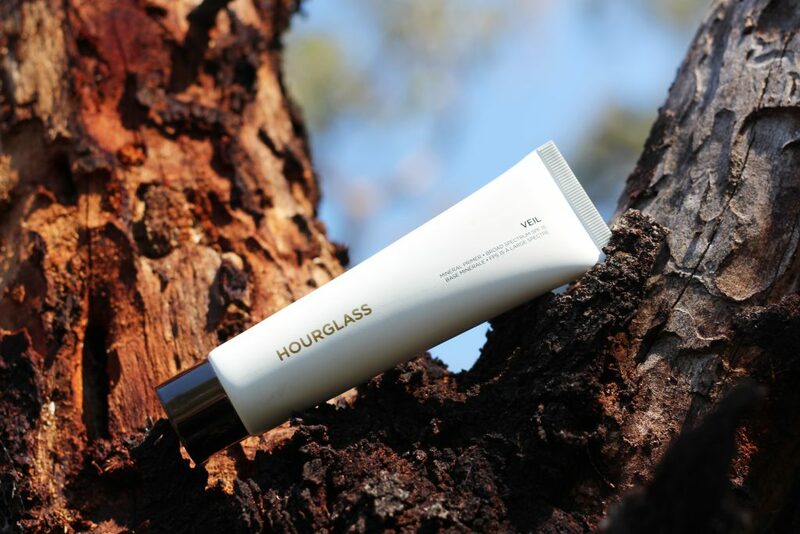 Hourglass Veil Mineral Primer comes in 3 sizes, an 8.95ml pump bottle for $27 AUD (perfect for trying out the product over a period of time) a 30ml pump bottle for $79 and a 57g tube for $108. The frosted glass pump bottles feel sturdy and luxurious, with a dark metal lid and cap that matches most of the Hourglass range. The 57g tube is a simple white tube with the gold hourglass logo and a screw cap that matches the other bottles. $108 sounds like a lot right off the bat but when you take into account the amount you’re getting, it’s pretty good for the quality and the largest size is easily the best value for money. Overall this is a beautiful primer, but it does have it’s flaws for me. Not refining my forehead lines as much as I’d like and the price are the two that immediately spring to mind. For someone with less textured skin and a bit of money to spare this would be perfect, especially if you’ve got combination skin and a good setting powder. 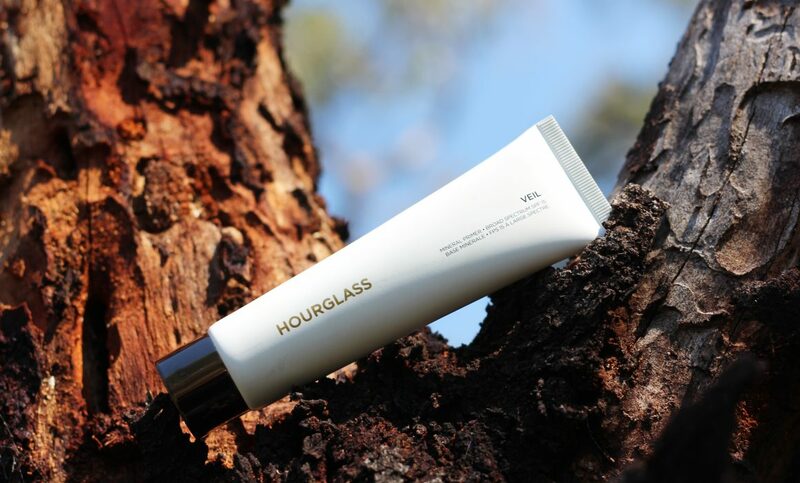 You can purchase Hourglass Veil Mineral Primer from Mecca Cosmetica in Australia, and from the Hourglass website who will ship to a very long list of countries world wide.